Welcome! We are a team of compassionate and informed full spectrum doulas and perinatal health workers, which means that we will be there for you no matter what kind of support you are looking for. Find out more about each of us, our training, expertise, and the kind words that we've received. We hope to hear from you soon! Corina is a doula, yoga teacher, and former archaeologist. Her diverse background, including sexual diversity studies and medical anthropology paved the path for her doula practice. Corina's approach to doula care focuses on holisitic non-judgemental birth support - including physical, mental, informational, and emotional support. She believes that there are as many ways to give birth as there are people and she is passionate about creating a safe and loving space for each client's birth journey. If you'd like to go beyond Corina's bio, you can read more about her here. Corina's calm, collected, and reassuring demeanour is what we enjoyed most about working with her. She brings an open and non-judgemental mind to her practice, which made us feel very supported and reassured about our birth plan. She is responsive and accessible and we could not have imagined the birth of our son without her support. It would be our pleasure to recommend her and we would work with her again for any future births. 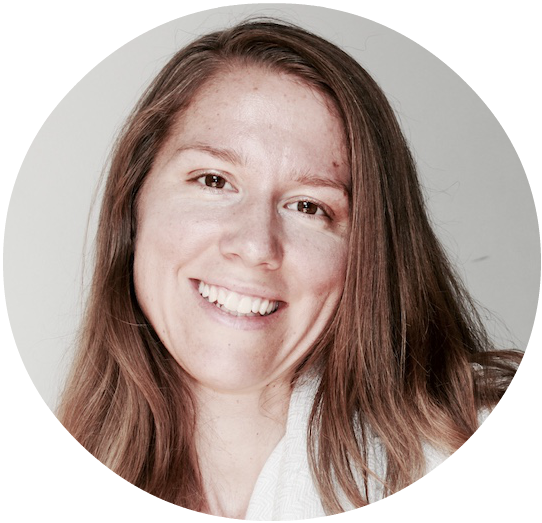 Kaia's nurturing and intuitive personality as well as her background in health align perfectly with doula work. After completing her doula training, she has loved every opportunity to support the full spectrum of families throughout their journey. Kaia loves the plurality of preferences, approaches and models of care in reproductive health. She is continuously learning and striving to provide individualized support. Her approach to doula care is grounded in evidence-based practices that are tailored to fit personal needs and she focuses on creating a supportive and empowering space. If you'd like to go beyond Kaia's bio, you can read more about her here. Kaia has a beautiful and calm energy that I found so helpful during my labour. She was intuitive and knew when to step in or not and what I need to cope through labour. I feel lucky to have had Kaia with me. Laura is a full spectrum doula, and she is thrilled to be a part of the Spectrum team! Her background as an artist gave her the ability to have an open mind, to actively listen, and to be creative when unexpected problems arise. These skills are what makes Laura a warm and kind person to have with you during a reproductive event. Laura is proud to work from an intersectional feminist approach. This means wherever you come from, whatever you believe, how you identify, or who you love, she is prepared to help you feel listened to, respected, and empowered! Laura also works as an artist in Toronto. A graduate of the acting program at the Ryerson Theatre School, she currently runs a performance collective called Something About Kaz. Laura is intuitive, professional, and warm. She anticipated my needs and was a constant reassuring, strong presence at each step of the birth journey. She took the time to listen and understand what our family envisioned for the birth of our child. She alleviated my fears by sharing excellent professional knowledge and asking great questions, which allowed her to provide information, expertise and emotional support in the most positive way. Rose Le Blanc is an International Board Certified Lactation Consultant and mother of three offering home and hospital visits for breastfeeding support to families in Toronto. She received her Lactation Medicine Diploma after over 90 hours of Lactation education and 760 hours of supervised, hands-on experience helping families with Dr. Jack Newman and staff at the Newman Breastfeeding Clinic. Her approach is gentle yet clear evidence-based guidance with a strong focus on the family's individual breastfeeding goals. As a new mom, I initially found myself overwhelmed with many aspects of motherhood. My son and I had a lot of trouble breastfeeding in the first few weeks, and I was extremely emotional. Rose helped me get through this challenging stage in my life. Her kind, nurturing character, along with her knowledge and experience helped me work through my breastfeeding difficulties, as well as the fears I was struggling with about my ability to care for my son. At eight and a half months, my son and I are still nursing very well, he is thriving, and I am enjoying every moment of being his mother. I am so grateful that I had Rose’s support and guidance.